For this exercise we needed to find an organised event where people were moving freely about and to take pictures that tell a story. London is a city that has lots of events all the time, however the time period I had allocated to do this exercise I found it difficult to find something in the usual places. After a bit of searching through magazines, newspapers, websites and bulletin boards I found an event to be held for one day at the Garden Museum at Lambeth Palace. A potato day. That certainly sounded quirky enough for great pictures. I went to their website to try and get a feel for what was likely to take place to help me think about what photos I might be able to take. I realised that there was unlikely to be a lot of people attending. The day was about largely outselling heirloom and unusual potatoes, plus a few other gems. 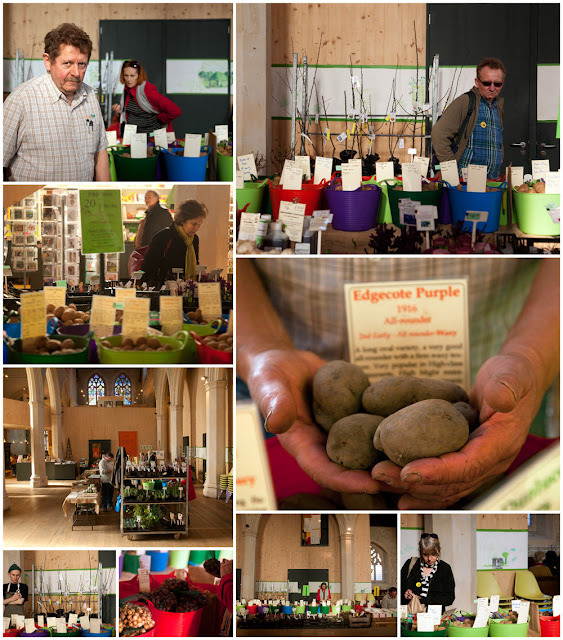 What I aimed for was to show the environment, the produce, the sellers and the buyers. 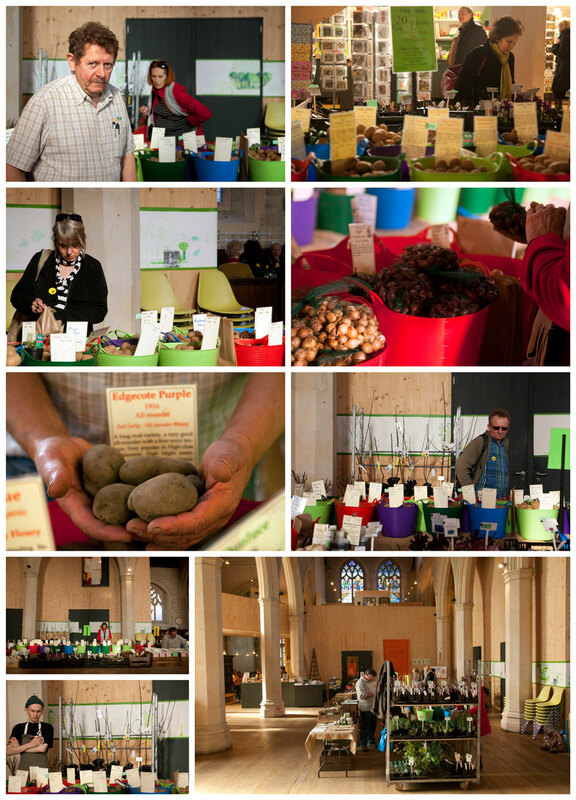 I wanted the pictures to show that this is not a big event but something that is a little quirky but interesting to anyone who wants to know about specialist potatoes. I took several pictures from a distance, but I was not going to be able to get close up pictures without engaging with people. I convinced the seller to let me take his portrait and to get him to hold a handful of potatoes. My aim was to show someone who really works in the garden. This is not a vendor he has hands that spend more time in the garden that in a store selling. Do I think I captured that? Yes I do. He is clearly a little uncomfortable in front of the camera but he is very proud of his potatoes. Would I trust this man to tell me useful information about potatoes? You bet. I think I have captured that. I am also happy that the pictures give you a sense of this small festival in a large indoor space. That the people buying potatoes and onions are serious gardeners.